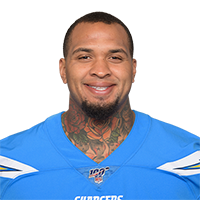 Pouncey has great size and speed for an interior offensive lineman and will remind most of his twin brother Maurkise (Steelers; first round 2010). Has a ton of playing experience at guard and center. Displays elite awareness and discipline. Plays with a mean streak. Can mirror quick defensive tackles. Uses quick first step and sound positioning in the running game. Struggled making shotgun snap early during senior season. Occasionally beat by the bull rush when defensive tackle has more natural size and strength. Not a true road-grader as a run blocker, again struggling at times against a heavier opponent. Will miss his target on the edge or at the second level in space on occasion.